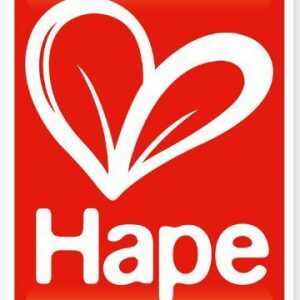 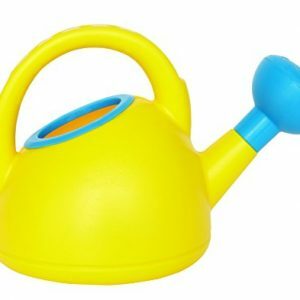 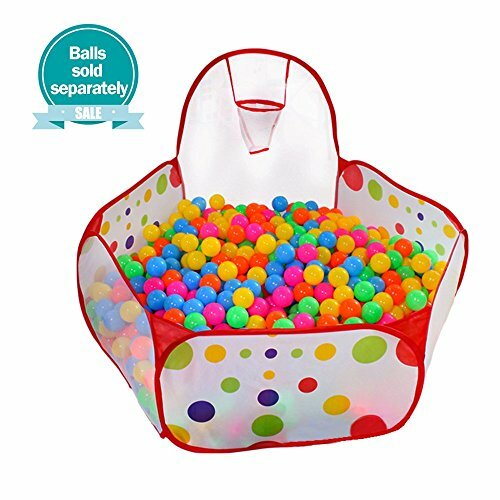 Manufactured exclusively for CMS with Phthalate Free; Lead Free; BPA Free; non-PVC; Puncture & Tear Resist Nylon Material, In 5 Bright Colors: Red, Yellow, Orange, Blue & Green. 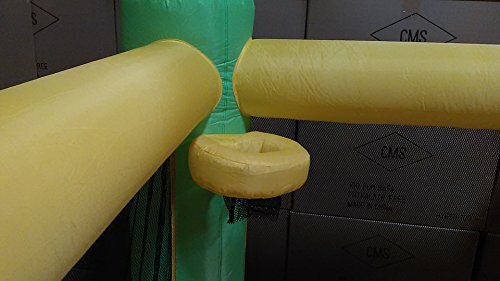 This Unique Fabric Smilar ( but much thicker ) to material used to build a Camping Tent, custom coated with a child safe colorless rubber lamination/backing (Only Colorless coating/backing were lead-free & phthalate free ) to help retains air. 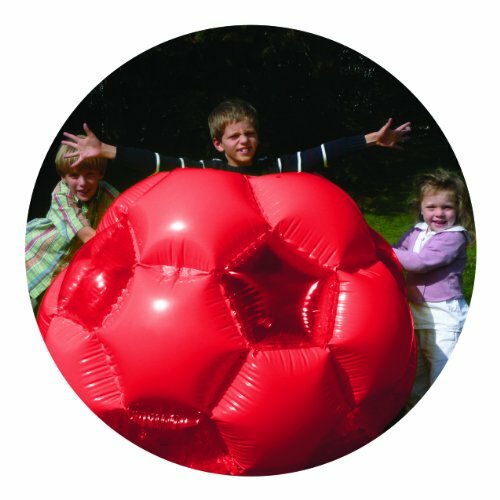 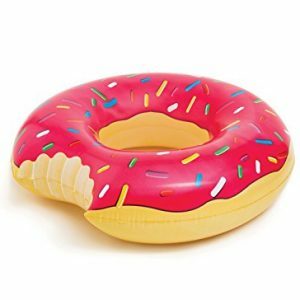 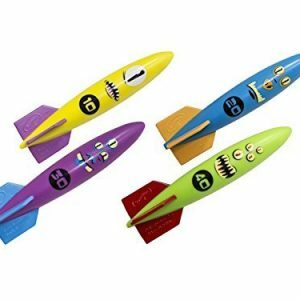 Durable and yet light weight for easy inflate; deflate and storage. 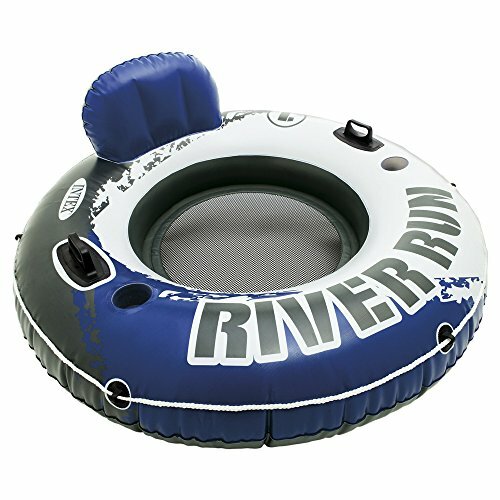 Made with a custom puncture resistant nylon material backed with natural rubber to retain air. 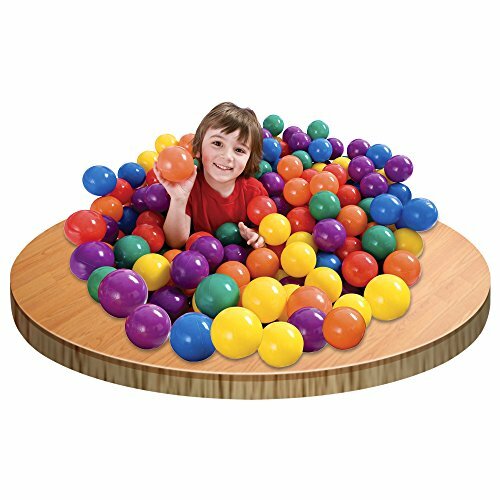 All models have a maximum height of 72″ to fit perfectly in any basement area and clear most ceiling fans/lights. 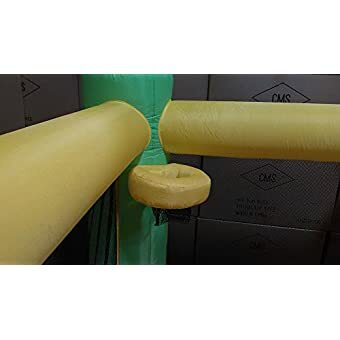 Minor cuts/leaks will not affect the function of the unit, and it can be easily fixed with a repair patch or duct-tape. 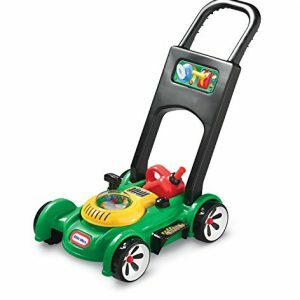 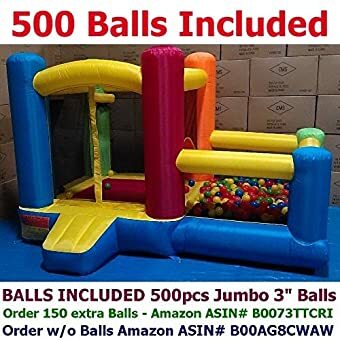 Includes Bouncer, a 350~450W UL Low Noise Blower, Carrying Bag, Ground Stakes, Weight Bags for use indoors (empty), Patch Material, and Instructions. 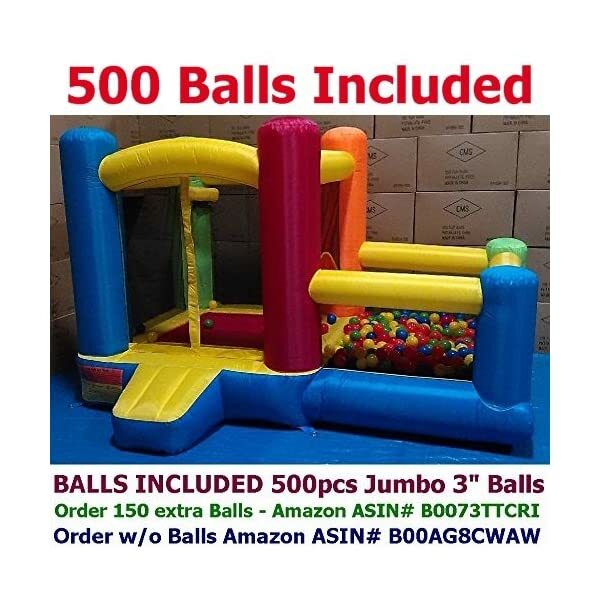 Up to 2 users with a max combined weight of 150 lbs my bounce at a time. 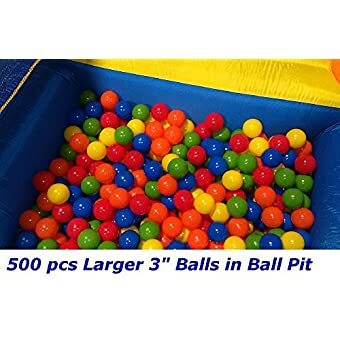 ***** Beware of large indoor floor space requirement ***** 500 Jumbo 3″ Ball Pit Balls shown are included. 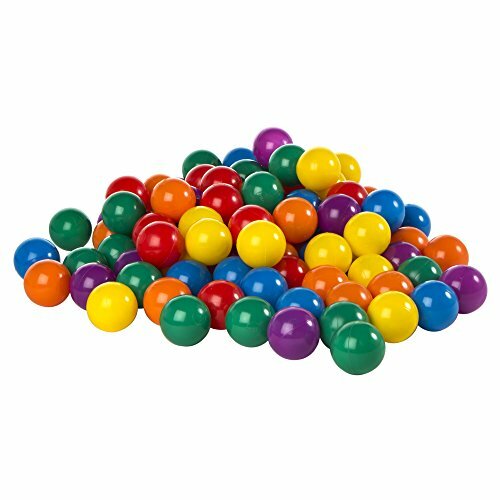 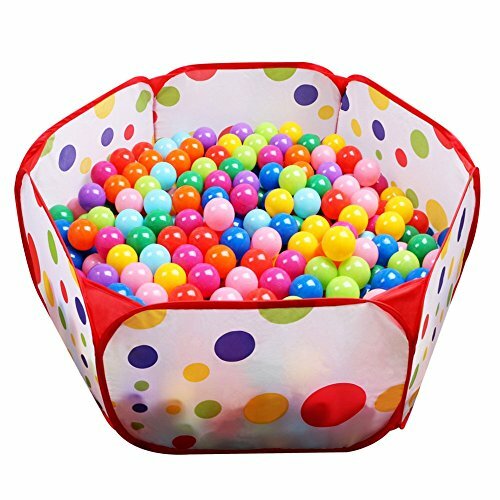 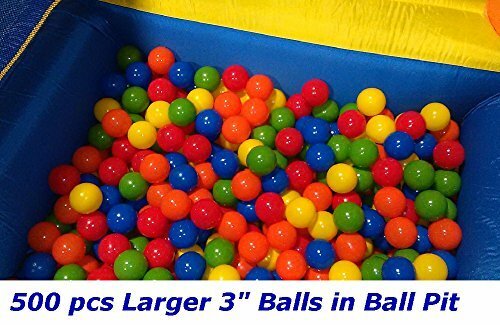 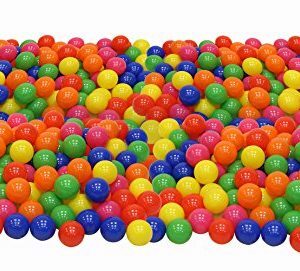 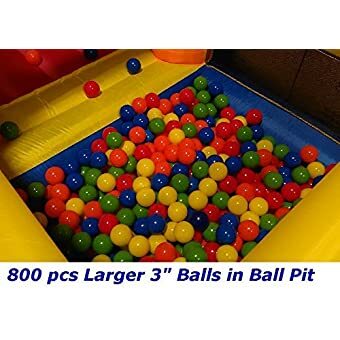 Manufacturer recommends the larger 3″ balls ( 500~800 Required ) instead of the smaller 65mm Balls ( 1000~1500 Required) as you would need twice as much smaller 65mm balls to fill the same ball pit. 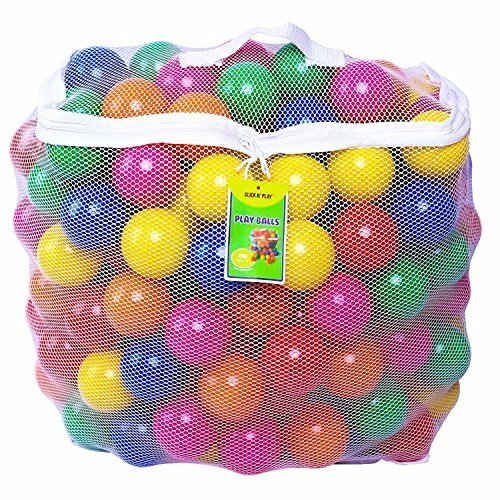 Please order from Amazon listing: Pack of 300 Balls = ASIN# B0072VZLHM ; Pack of 500 Balls = ASIN# B00AN3Z73E . 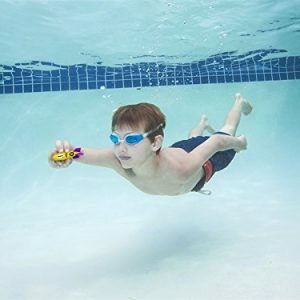 Easy setup! 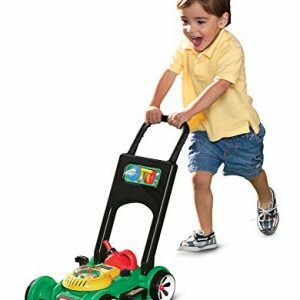 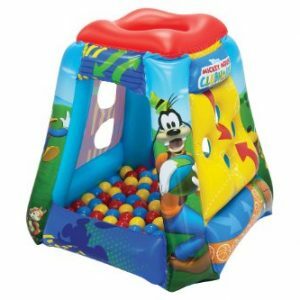 Bounce House inflates & ready for use in less than 60 seconds with included blower pump(must be on full-time). 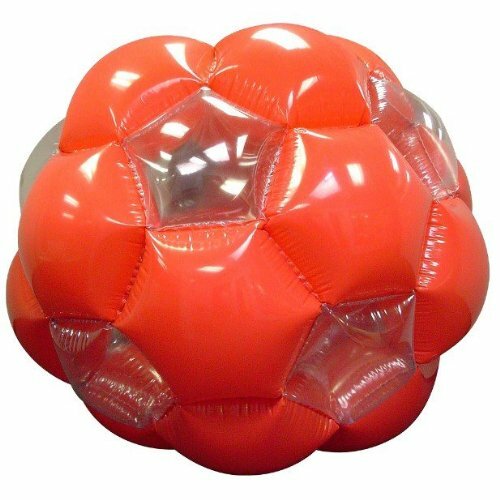 Deflates & pack away in less than 2 minutes. 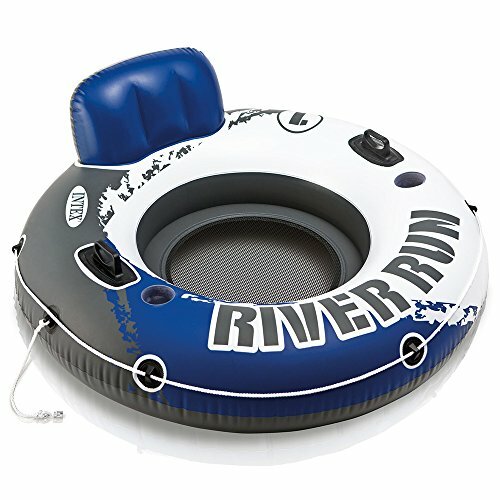 Overall weight less than 30 lbs, for easy storage & transport. 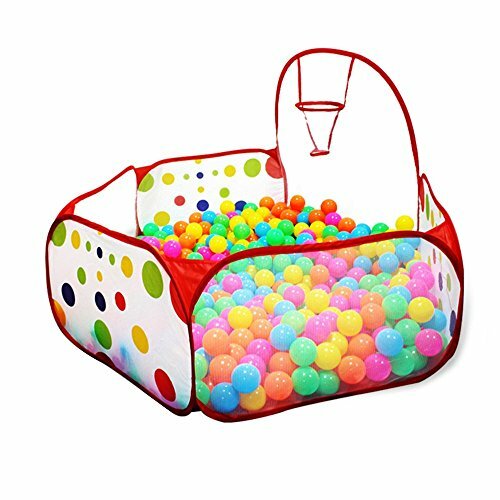 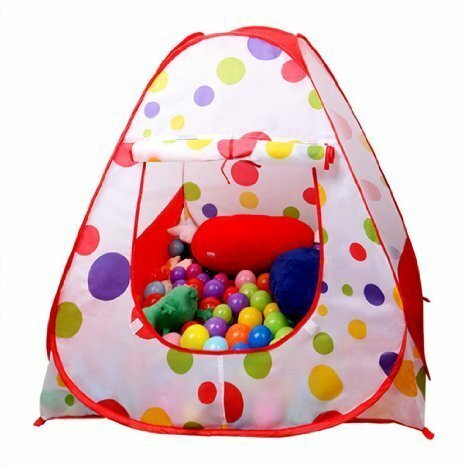 Package Includes the Bounce House, a 380W UL Low Noise continue-flow Blower , Special Bundled Pack of 500pcs of the Larger 3.1” Ball Pit Balls , Storage/Carrying Bag, Ground Stakes, Weight Bags (Free Bonus a $29.95 value), Patch Materials and simple Instructions. 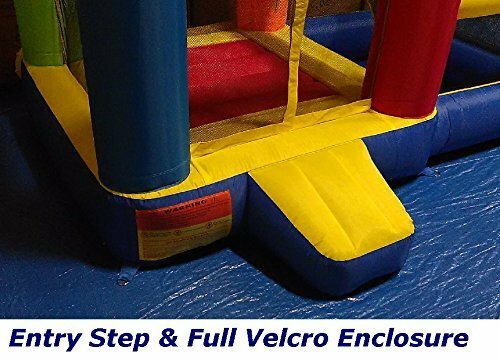 This Bounce House sized too big for your Condo, Townhouse or even an Apartment? 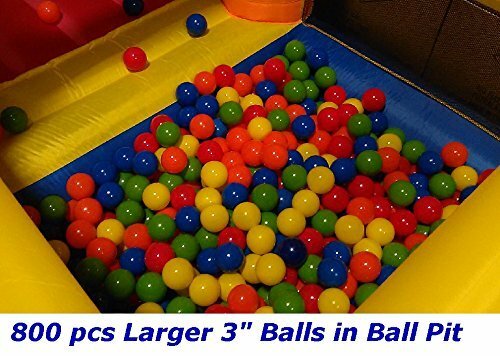 Not a problem, as we carried many different models with different sizes to meet your challenging indoor space. 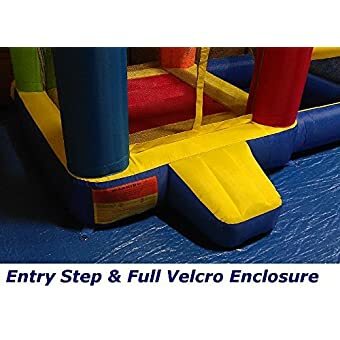 Please check our full lines of Newly Improved Bounce House Models available through Amazon listings using following keywords ” My Bouncer Castle Popper ” for available model & sizes. 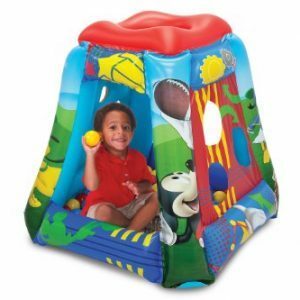 Designed for use both indoors or outdoor. 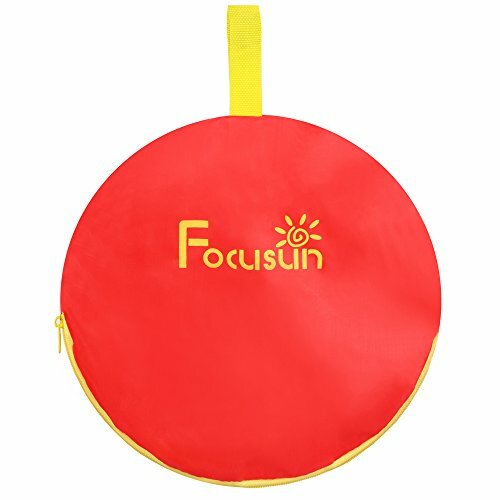 When use outdoors, properly gauged extension cord with GFCI must be used.